If you’ve received a county court judgment (CCJ), there are a number of potentially devastating consequences. Most people are aware that it can stop you obtaining credit, including a mortgage. But did you know it can also affect your job prospects? Many employers these days will do a credit check against prospective employees to find out whether or not there are any black marks against their name. If you’ve received a CCJ, they may decide not to employ you. This is particularly true if you are applying for work in the financial sector. The reason is that many of these jobs require a ‘fit and proper’ test. In theory at least, if you’re in debt, you’re more likely to do something dishonest to bail yourself out. Is there anything you can do get round this? The CCJ will remain on your credit record for six years from the date it’s issued. Even if you pay it, it won’t be removed – it will simply be marked as satisfied. However, setting aside the CCJ will remove it completely from your credit record. It’s as though it was never entered. 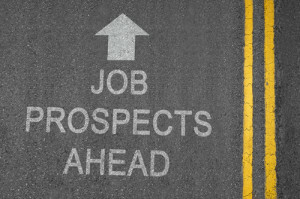 Your prospective employer won’t be able to find out about it and it will no longer affect your job prospects. 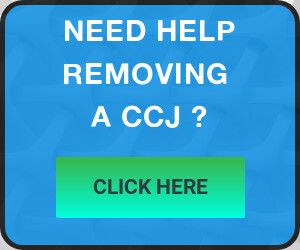 What is the Process for Setting Aside a CCJ? The court has a discretion to set aside certain types of CCJ’s, known as default judgments. These types of CCJ’s are entered when the defendant fails to file a defence when the claimant issues a claim. The court will set aside the default CCJ if it’s persuaded that there’s a good reason to do so, for example you have a real prospect of successfully defending the original claim. You will need to make an application on Form N244, supported by a witness statement and a draft defence. You may also need to attend a hearing. Previous Entry: My CCJ Has Been Set Aside. Why Hasn’t it Been Removed from My Credit Record? Next Entry: Should You Apply to Set Aside Judgment or Just Pay It?